You can find a lot of available digital camera add-ons that can help you focus closer, including filter-like close-up attachments that attach to the front of the camera lens and bellows accessories that fit between the camera and lens. 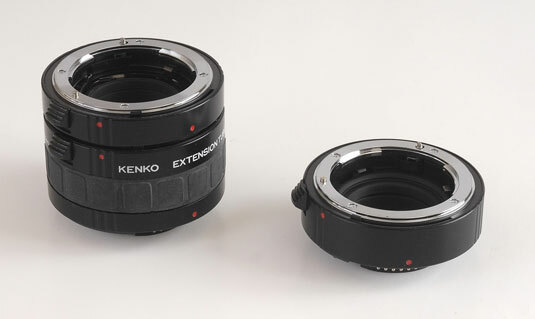 Extension tubes are an inexpensive and versatile solution. You install these tubes between the camera and lens, and they provide the additional distance you need to focus your camera closer on your subject. You can get a single tube for as little as $50, but you can pay $150 or more for a complete set of fully automatic tubes in multiple lengths. Use an extension tube on your digital camera to focus closely. If you want extension tubes that you can use easily, go for the extension tubes that couple with the camera’s automatic focus and exposure mechanisms.